Choosing your bathroom’s replacement windows requires careful forethought. You’ll want privacy, but you’ll also want natural light. You’ll want warmth while taking a bath, but you’ll also want proper ventilation. All of these items makes it difficult to choose windows. In this post, Seamless Exterior narrows down the best window options for your bathroom. Skylight windows are placed on your ceiling above your shower, allowing you to retain your privacy while allowing the sun’s natural light inside. Be warned, though; a skylight window isn’t exactly cheap. If your window has a glass that has a heavy texture or high opacity, such as textured glass windows, it will do the job as far as privacy while allowing natural light to enter. Like the skylight windows, though, this may cost you a significant expense. A classic choice, this type of replacement window is set high on the wall. You can even open it downward to provide proper ventilation if you want without having to leave the comfort of the shower. If needed, it can even serve as an egress window as well. Similar to the textured glass windows, glass block windows allow enough light into the space without sacrificing your desire for privacy. You can even make an entire wall out of them to make the room more stylish, thanks to its unique designs. 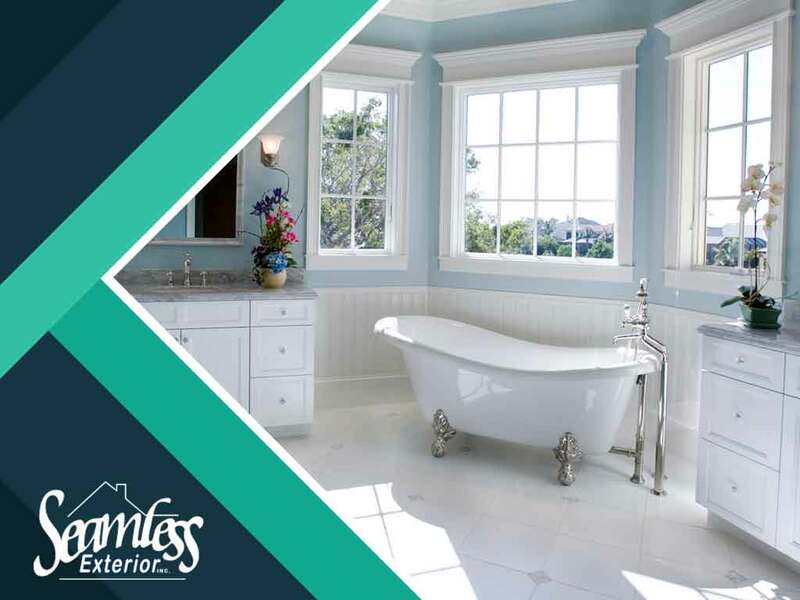 If you’re in need of a windows company to replace your bathroom windows, don’t hesitate to turn to us Seamless Exterior for your home improvement needs. We are your number one provider of not just windows, but roofing and gutter services as well. Give us a call at (319) 243-3600, or fill out our contact form to learn more about our services and get a free quote. We serve clients in Waterloo, IA, and other nearby areas.